Student pharmacists walk through Lyceum Circle on a Fall day. The Natural Products Training Center was completed in April 2016. 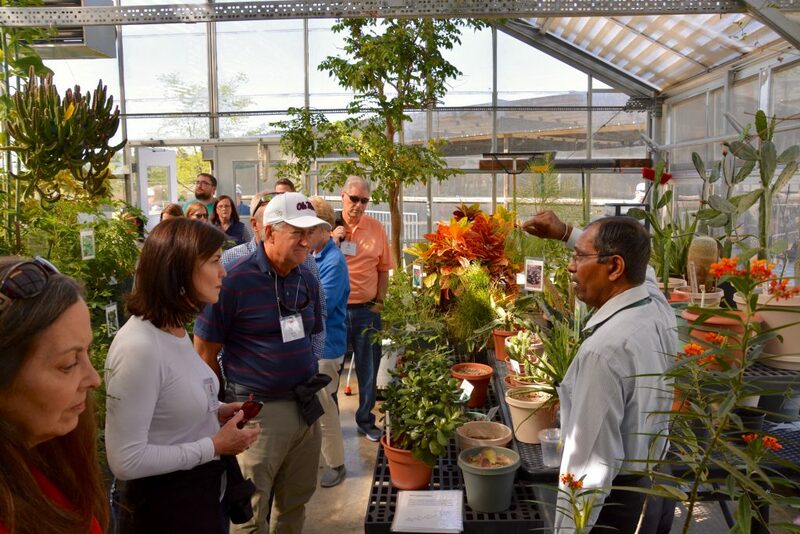 Alumni learn about the more than 300 plant species at the Maynard Quimby Medicinal Plant Garden. 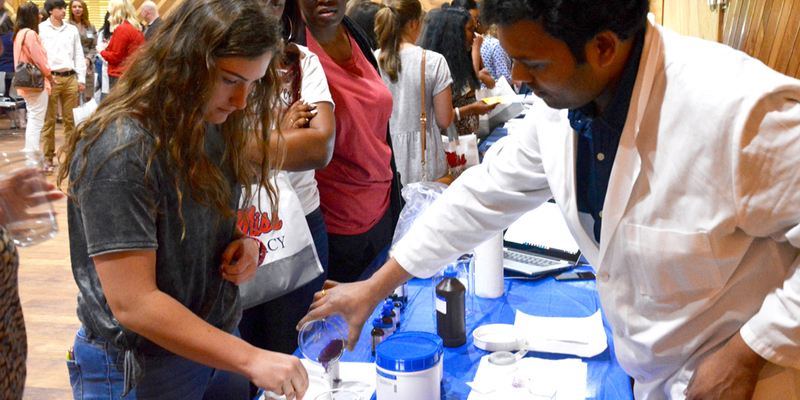 The School of Pharmacy's graduate programs prepare students for a variety of industry, academia and government positions. 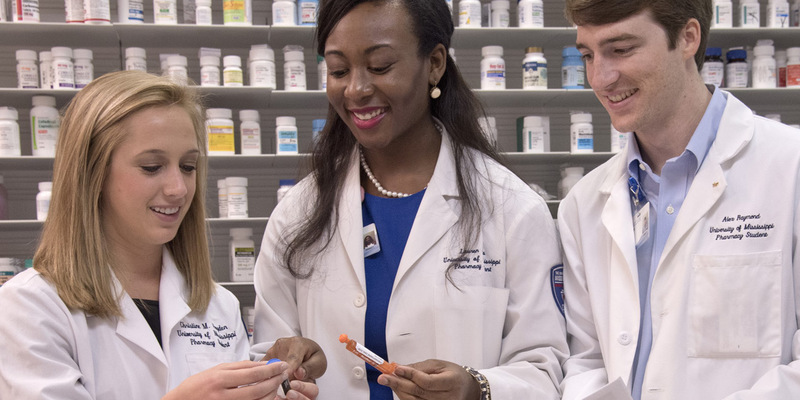 The School of Pharmacy uses problem-based learning to teach abilities not fostered by a lecture-based format. 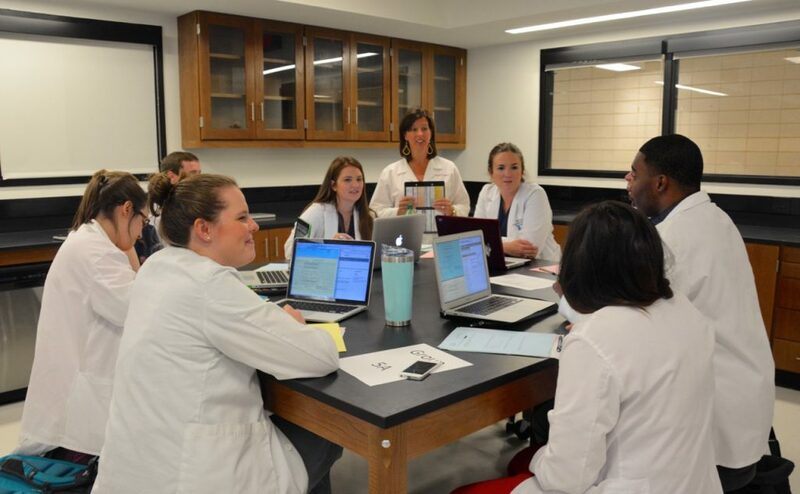 Students in their third and fourth years of the professional program study at the University of Mississippi Medical Center in Jackson. 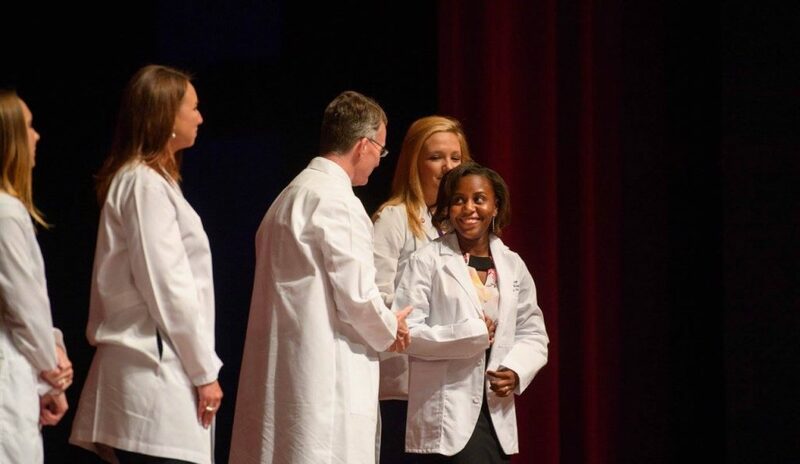 First-year pharmacy students each receive a white coat as a symbol of professionalism.